Document destruction is one of the most important parts of your document management process. Record Nations’ local providers can help you with destroying inactive files that are past their required retention times or shredding documents that you have imported into a document management system. For free, no-obligation quotes from shredding service providers in your local area, give Record Nations a call at (866) 385-3706 or fill out the form on the right. 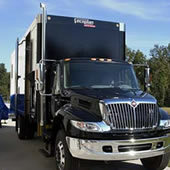 From mobile shredding to hard drive destruction, Record Nations has built a nationwide network of local providers that can help you with whatever service you need. 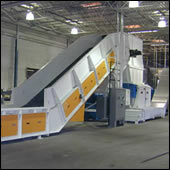 Do you need to witness you shredding, or would you like to make sure your documents are shredded at your location? Mobile shredding allows our local contractors to come to you and shred your documents on-site, while you watch, for one affordable price- and you don’t have to even leave your office. Retiring old office equipment might seem like an easy task- but there is lots of critical information that can be easily recovered from that equipment. Let Record Nations help you ensure your electronic media is completely destroyed. 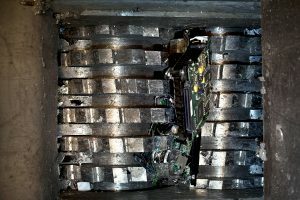 We offer secure and total destruction of hard drives, computers, fax machines, and more. Simply formatting a hard drive doesn’t erase the information- there are dozens of ways identity thieves or corporate spies can recover that data and use it against your company. 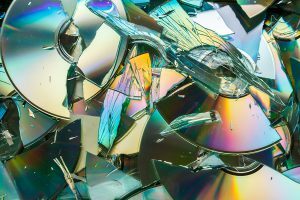 Record Nations offers hard drive shredding and hard drive crushing to ensure the platters in your hard drive are completely unreadable- and you get a certificate of destruction that verifies it too! For larger shredding projects, we offer a pick-up service that transports your boxes of documents to a secure facility and shreds them with thousands of others. It’s one of the more cost-effective ways to ensure your files are shredded without having to drop them off at a shredding company. 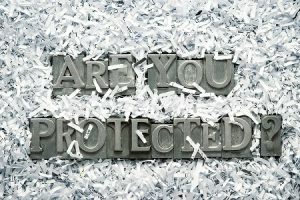 Are you interested in hosting a shredding event? We’ll get you connected with a local provider, market your event for you, and ensure that you have all the tools you need to make your shredding event a success. 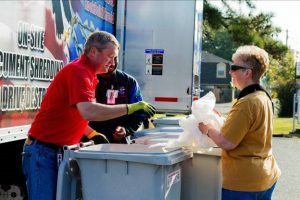 Shredding events are a great way to reward your current clients and help protect your community. Get Free, No-Obligation Quotes On Document Destruction Services Today! Don’t let outrageous add-on fees or a lack of a proper document destruction plan put you at risk for a data breach. Record Nations can find a local document destruction company that combines all your document management systems at an affordable price. To get free quotes today, give us a call at (866) 385-3706 or fill out the form to the right. We’ll be in contact with you in a few minutes to provide free quotes from local document destruction companies that can help schedule your shredding project quickly.